Are you all decorated for Christmas this year? We're all decked out inside and out. 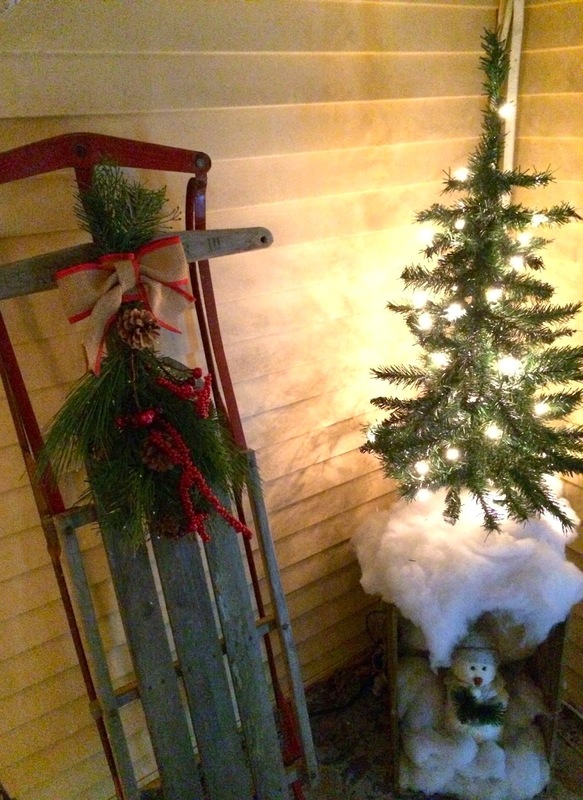 Our Christmas porch is pretty simple this year, but with lots of new things going on. I used a few things we already had on hand, and picked up a few more things at Tar-jay. 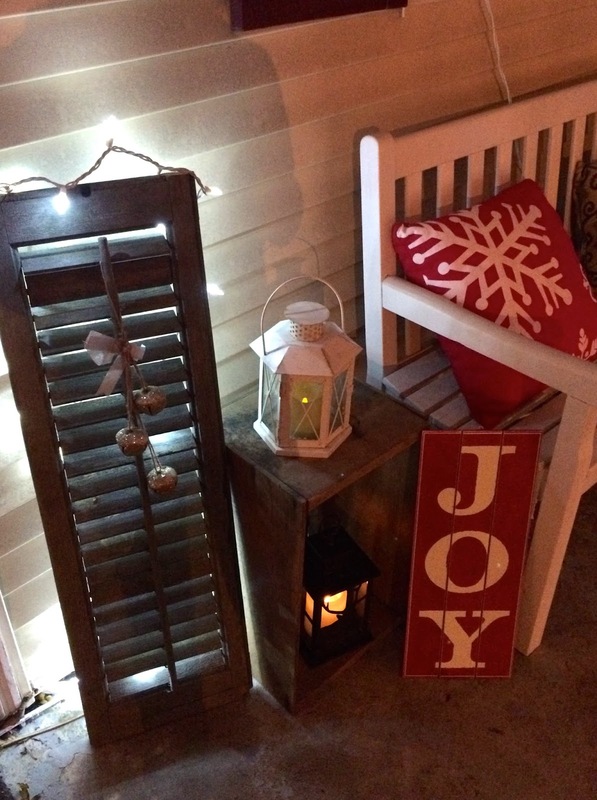 A few string lights and an old shutter I got from a yard sale this fall....along with some sparkly bells from Target, a white lantern and box crate I already had on hand, a new brown lantern and JOY sign I picked up at Target. The red snowflake pillow on the bench is new, too. I also added this sled into the mix this year...Trent used this when he was younger, and it was just hanging out in the shed out back, so we brought it out here. I got some swag for it at - you guessed it - Target. The little tree we've had for a few years now, along with the batting "snow" and my little snowman. It's not super elaborate but I think it might be the most I've ever decorated this porch for Christmas! Of course we have our lights up again, too. I'll post pictures of those tomorrow.